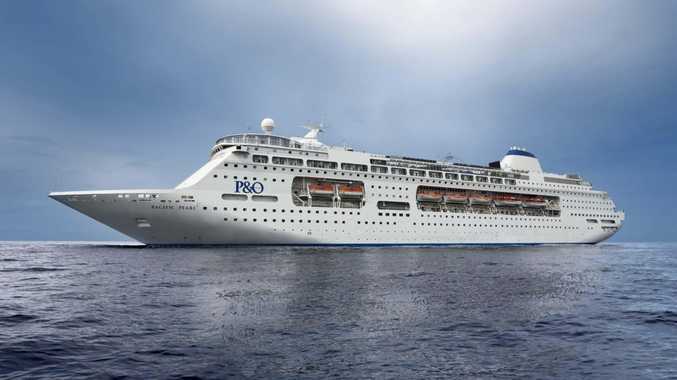 The Pacific Pearl is returning to Mooloolaba. FIVE cruise ships, 15 calls to port, 23,000 passengers and one Sunshine Coast suburb bracing for a tourism boom. It's full steam ahead for a mega influx of cruise ships coming our way in the next 18 months. Quickie trips for those wanting a taste of the cruising life without the commitment are fast becoming a favourite among Australian travellers - and the Coast has now joined the ports-of-call. Cruise ships packed with eager lanyard-wearing tourists from Sydney will bring 23,960 visitors to our shores between now and the end of 2016. Carnival Australia announced recently the 2680-passenger Carnival Spirit will join the list of short-term cruises destined for Mooloolaba. The Spirit will depart Sydney on May 3 and again on May 7 in 2016. Are you looking forward to the cruise tourists coming? This poll ended on 30 May 2015. Wish I was on a cruise! The four-night roundtrip starts at $952 twin share. 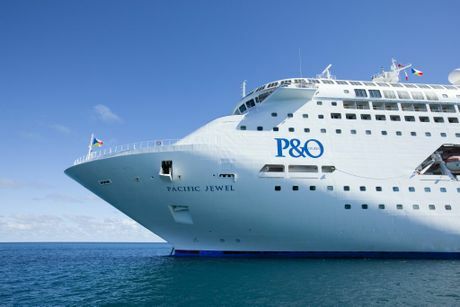 Testing the Mooloolaba waters first will be P and O's Pacific Pearl, departing on July 7 this year, with further cruises planned for August 21 and October 10. The luxurious Pacific Eden will only be a few weeks old when he sets sail for Mooloolaba in December this year. The captain does it all again in 2016 with nine calls to the Coast in 2016 aboard the Pacific Aria and Pacific Jewel between March and December. A four night roundtrip cruise from Sydney on Pacific Aria in June 2016 is priced from $766 per person twin share. The influx of cruise ships has cemented the Coast as an up-and-coming cruise destination. Carnival Cruise Line Vice President Australia Jennifer Vandekreeke said the Coast offered a vast array of shore tours that passengers were looking for. "Shore tours include Australia Zoo, swimming with humpback whales, a 4WD experience and a trip to the hinterland. "We are so excited to be visiting Mooloolaba in 2016, it's a great fit for our free-spirited, fun-loving guests," she said. The multi-million dollar tourism boon has come as a pleasant surprise to tourism officials. 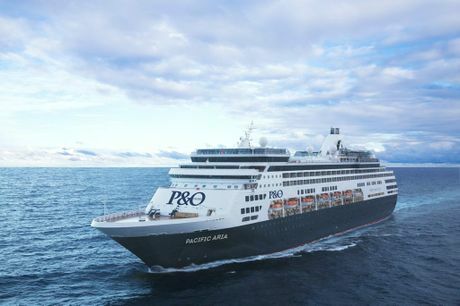 The cruises will follow last year's trial visit by Pacific Pearl. That visit was ruined by bad weather which kept the 1800 passengers stuck on the ship. Mooloolaba Business and Tourism president Peter Foran said the influx of cruise passengers far surpassed any expectations. "We're already planning for the arrival; we haven't really stopped since the last ship came last year," Mr Foran said. "The stats show 30% of people on cruise ships return to their destination, so with numbers like 24,000 we are looking at the possibility of up to 8000 people coming back to the Sunshine Coast and Mooloolaba. "So it's really important the community pulls together and makes the passengers feel really welcome. "We never imagined we'd have this many ships coming here, but it's a fantastic surprise. "The winter months are a low time for the domestic market and with 75% of our tourists coming from the drive market, we will be relying on this new business." Mooloolaba is gearing up to welcome five cruise ships, including the Pacific Aria. 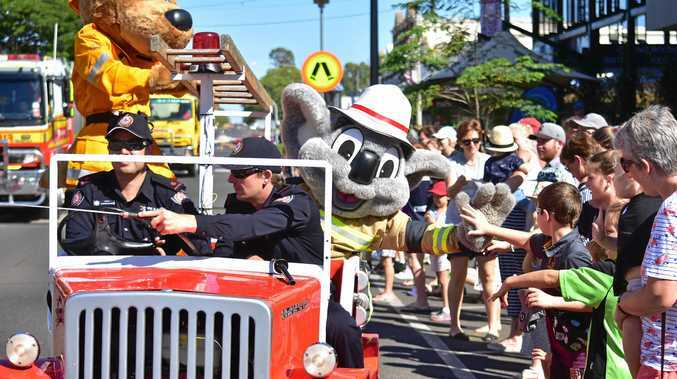 Tourism and Events Queensland officials said they were "blown away" by the enthusiasm Mooloolaba showed during last August's abandoned visit. Tourism and Events Queensland destination and experience development specialist Julie O'Brien said the cruise industry was worth $380 million to the state economy and that would certainly flow into Sunshine Coast coffers. "The Sunshine Coast is well placed for cruising because it offer a diverse and unique offering in shore tours, from the beaches to food and wine experiences, nature-based experiences and the hinterland," Ms O'Brien said. "The four-day cruise with one port of call is the magic formula for cruising. "The Coast and its businesses are well prepared for these ships and that is not going unnoticed."